My Wise Designs: Sweat Shop Happenings.. I just adore this one! 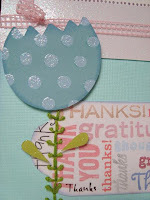 I made it for the May Card Challenge on Scrapbook.com that I'm hosting this month. I'm a little late with my samples.. but I'm getting there. 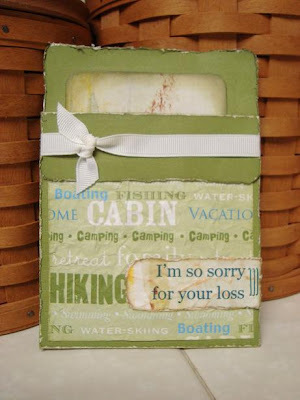 I got the idea for the card from Splitcoaststampers.com. The tag comes out (it's 3x5) to write your message on. This is for the Theme Category. 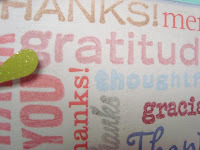 The theme this month is Thank You. For a while I've wanted to use the computer to (I don't know the technical word for it) use words make some sideways, so right side up. So... 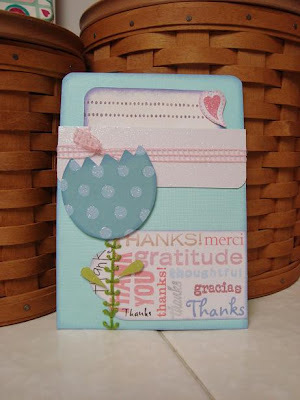 I used stamps and rub-ons to make my Thank You Paper! 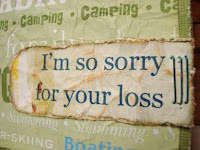 This one is a Sympathy card that Dad asked me to make. Someone from his work passed away and he wanted to send a card to his wife. The man loved fishing, hunting and pretty much all outdoor activities, so Dad asked me to make something that had to do with that. This is what I came up with.. Your cards are gorgeous! TFS! I have something waiting for you in my blog. Please stop by in you have time. Thanks.